Here I am, designing a camp for kids that will transfer our love for the farm through as many creative avenues as possible. I'm getting really revved up about this... I'm a camp lover from my early years, and all the good memories are seeping back into my thoughts. As a ten-year old Girl Scout, I was indoctrinated in all things Campy: bonfires, s'mores, Kum Ba Ya, God's Eyes, and KP duty. Right now I can smell the musty zing of the green tent canvas and the sweet earthy fragrance of the pine needle floor of the hiking trail. Headed for a two-week camp in the woods. Life-changing. How do you pass this along to the next generation? Obviously, our camp will be quite different; we're focusing on the farm rather than the woods, and there will be no sleeping under the stars. But I hope we have a lot of stretching, learning, observing, handling, creating, laughing, and opportunities for wonderment. I'm still a sucker for arts and crafts using natural, found materials, and the farm is a veritable mother lode of those: rocks, sticks, feathers, leaves, flowers, fur... We'll be making some really, really cool stuff at Farm Camp. Sing with me: "Make new friends, but keep the old; one is silver and the other, gold." Man, I looked at that picture and thought sure I was looking at Emma! Scary! It could not possibly look more like Em!!!!! 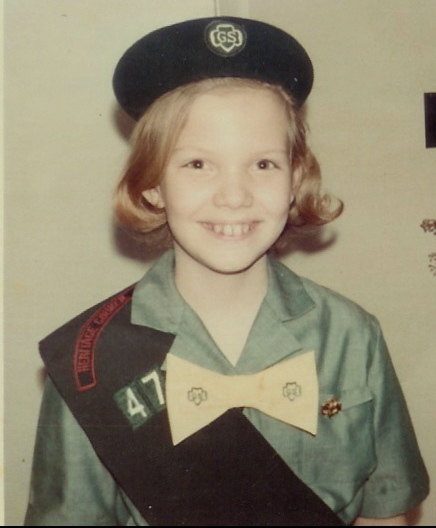 Oh Laurie -- you'll have to come to Big Girl Camp & we'll teach you all the songs! Cindy, the pictures are great -- but I thought they were of Emma! Cindy, this really makes me wish I were 8-yrs-old again! And I'm putting in vote for for the "Cindy and Emma look alike" column! I love that song! I can still hear the echo of singing it "in round"! 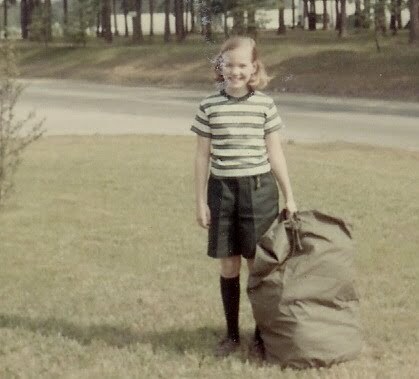 I still remember all the songs I learned at Camp Pine & Dunes in Walkerville, MI. (I was there in 1968 -- so homesick! -- and again in 1970 for a much more enjoyable experience.) Hope you have a fun farm camp!